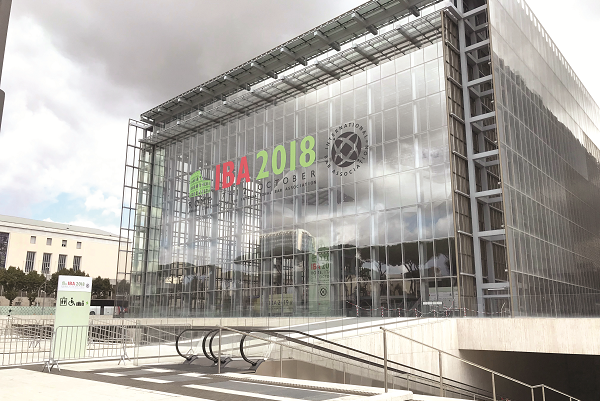 The flagship legal conference of 2018 was held by the International Bar Association (IBA) in Rome. On 7-12 October, the Eternal City gathered around 7,000 participants (and a huge number of lawyers not formally registered) from different cultures and legal areas. These included not only representatives of law firms, solo practitioners and general counsels, but state officials, ex-politicians, representatives of legal tech and other support services, dispute resolution centers, providers of legal education, publications and professional media. The Ukrainian delegation has probably never been as big as this week in Rome. The broad range of topics listed in the official schedule were extremely relevant to our realities (e.g., global developments in fighting corruption, cyber-security, legal aid, rule of law, role of communications) and issues of global concern across the profession like bar activities, diversity, the role of women, etc. For us it is another opportunity to discover where the legal world is moving globally, and what responses are undertaken locally. So let’s see what we’ve discovered in Rome. The keynote speaker at the Opening Ceremony was Romano Prodi, former Prime Minister of Italy and President of the European Commission (1999-2004). He touched upon the challenges that united Europe now faces, such as populism, growing tensions and Brexit, the consequences of migration waves. “Liberal democracies are under threat”, he said. Martin Šolc, IBA President, continued to develop the message of exceptional significance of the rule of law in everyday life, which consistently accompanied his leadership in the association. A dedicated education campaign was launched with a series of videos entitled “Look after the Rule of Law and it will look after you”. Due to the growing demand for technological content, the IBA committees presented a range of sessions marked as Artificial Intelligence (AI) Day. The sophisticated impact of newly-developed software and innovative solutions are constantly reshaping specific areas of law. No wonder as such solutions (disruptive and not only) replace juniors and bring cost-cutting efficiency to the table. The Legal Tech industry is gaining momentum, becoming a separate player of the legal market. However, ongoing tech change poses the question of its appropriate regulation. In contrast to the highly-regulated legal profession, regulation of AI is basically absent today. Another issue for discussion is the ethical obligation to control the performance of technologies. By contrast, the requested skills of legal practitioners may also undergo transformations. Disruptive solutions turn into the NewLaw concept and entail the emergence of so-called alternative providers, whilst BigLaw faces considerations of their stable, often named conservative organization. The sensitivity of information accumulated by law firms is a target for hackers and an even bigger headache for business owners. The topic of cyber-security has become a burning issue for the legal market across the globe as it concerns the business plans of clients, intellectual capital and secrets. In the course of one week in Rome, the IBA presented recently developed cyber-security guidelines (available on-line) that provide law firms with practical tools to prevent risks of interference and to put an appropriate safety strategy into place. According to Nazar Chernyavsky, Partner of Sayenko Kharenko and Officer of the IBA Technology Law Committee, who co-moderated the session dealing with practical aspects of the situations where law firms were hacked, law firms dedicate too little attention to their cybersecurity and become easy and lucrative targets, which puts at risk their clients’ data, as well as their own reputation and finances. “Our Cybersecurity Task Force will now be regularly updating and improving the developed best practices for law firms to minimize their cyber risks”, he said. Meanwhile, it is quite obvious that law firms are less prepared than corporations. An appropriate strategy is not only a technical or business decision but the ethical duty to protect the information of clients. The role of professional rankings in the legal industry is growing rapidly, and both external counsels and clients admit this. A special session dedicated to maximizing benefits and returns from a ranking gathered a packed audience to learn the latest developments around this topic. Among the key insights on the part of in-house counsels is that the “culture of feedback” is something very common in Western practice. Despite it being time-consuming, this feedback on the performance of law firms (individual lawyers) is regarded a must. Another valuable thing for clients is when legal directories provide available evidence not only about departments but individuals too. In fact, it is very important to see examples of completed cases. Basically, there is big room for consideration for directories on how to win and preserve credibility and trust in order to produce such analytics and market intelligence. With regard to research, there is a strong message that directories are wise enough to understand the plans of arranging referees and reveal tricky comments from competitors. Another important idea aired by David Burgess, the publishing director of Legal 500, is that directories are not only rankings but continual interaction with lawyers. Finally, law firms assumed that the submission process is an additional opportunity to audit a law firm so as “to identify the gap of we think we are, who we actually are”. Bars and law firms: looking forward? The regulation of the legal profession has traditionally been among the core topics of this annual venue. The concerns that exist around the changing nature of the relationship between Bar associations (or law societies in certain countries) and law firms are on global and local agendas. Bar associations maintain the integrity of the legal profession, which underpin everything law firms do (disciplinary standards, CLE, client protection, etc.). This is especially visible if we contrast global heavyweights, with their internal perception of professional standards, values and policies, and national and local bars that introduce guidelines into the profession, setting frameworks and agendas. Andrew Darwin, global co-chairman DLA Piper explained what international law firms expect from Bars. This is recognition that international law firms have a different set of requirements aligning themselves with the interests of their clients doing business across geographies, and want fewer barriers to provide a cross-border service. Even one of the largest law firms, DLA Piper, faced difficulties in establishing offices in Europe and Africa, according to the speaker. The approach taken by Bars towards internationalization of law has to change and evolve, the panel concluded. The conference continued last year’s discussion in Sydney around the best practices of the legal aid system. In response to criticism that exists around this issue, the IBA launched an initiative of first international principles in support of the funding and administration of legal aid for civilians. Contributors from different jurisdictions are encouraged to provide their comments and suggestions for improvement. The guidance is especially important for those countries that are still undergoing legal aid development to implement proper administration, funding, eligibility, etc. The IBA Annual Conference is the primary place to build a network of professional contacts across jurisdictions. The large number of social events and receptions in Rome proved that statement in its entirety. 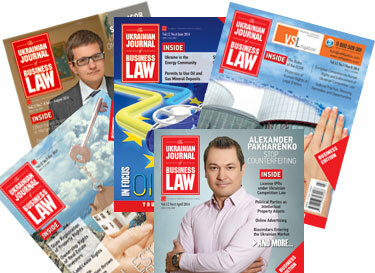 On this occasion, two Ukrainian law firms, AEQUO and Sayenko Kharenko, hosted their own receptions. IBA 2019 will take place on 22-27 September, 2019 in Seoul, South Korea. But even now we can assume that it will enlist exceptional attention to Asian markets and the opportunities that flourish there. It is notable that the next conference will be addressed by Horacio Bernardes-Neto, who will take the reins as the new IBA President from 1 January, 2019. I do not remember any other IBA conference with such a large number of participants. Although the location in Rome had some logistical implications and challenges, they were more than outweighed by the unique opportunity to enjoy so many beautiful palaces of Rome during numerous social events. 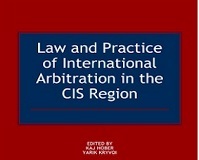 The official program, and particularly its international arbitration part, was rich in interesting discussions covering not only hot topics, but some new aspects and related fields. I was particularly impressed by the session on frontiers of neuroscience, which posed many questions on the future of dispute resolution. Looking back at that session, I still consider what I should stop doing and what I should start doing as a counsel and arbitrator so as to achieve better results. During my first day in Rome, I also attended the meeting of the ICC commission on arbitration and ADR as its ex-officio member/member of the ICC International Court of Arbitration. Again I was mostly impressed by the report on the physiological aspects of some arbitration-related topics, such as witness examination and the way the human memory operates. The IBA Annual Conference week in Rome was another great opportunity to meet clients, colleagues and old friends from a number of jurisdictions. Some of the sessions I attended were really inspiring. I personally attended some of those connected with my main spheres of interest — antitrust and intellectual property. I particularly liked the session on cross-border cooperation between competition law-enforcement agencies in international cartels. In a globalized economic world such cooperation is constantly increasing and is enabling agencies to allocate their resources more efficiently and foster sustainable antitrust law-enforcement. At the same time, this is creating additional challenges for companies and their legal counsels (involvement in parallel investigations, various immunity and lenience regimes and procedures to be properly coordinated, etc.). The level of cooperation between antitrust authorities in the EU, US, Canada, Australia, Japan, Korea, China is rising all the time and hopefully one day the Ukrainian competition authority will put itself on the map of cross-border competition enforcement. Luxembourg and the Netherlands. 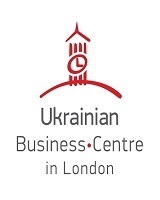 Though state aid is only at the very initial stage of its functioning in Ukraine it is always good to know the best available international practices. The session on antitrust in shipping was another perfect example of review and analysis of the developed and advanced competition regime and policy in the particular sector absolutely taking into account the peculiarities of the industry's history and specifics. The IP section that impressed me was devoted to various aspects of interaction between fashion design and fast fashion. The quick obsolescence of fashion items makes it less attractive for clients to invest a lot into registering and protecting IP rights and, therefore, in many cases litigation (even with injunction measures) does not work properly. One of the widespread strategies for fashion brands is to have a very targeted focus on one or two designs and exercise a zero-tolerance policy on those couple of designs only. Most brands try to be selective and focus on protecting intellectual property rights in major countries where the products are distributed and also in countries where their brands are produced. For those who missed the sessions at the Annual IBA Conference this year, it is my pleasure to provide insights into two sessions held at the conference. The first session, entitled “The future of international sales: smart contracts, blockchain and cryptocurrencies”, focused on how smart contracts have disrupted traditional legal approaches. The business will increasingly rely on coding behind smart contracts rather than relying on traditional legal drafting, as it will enable businesses to be more competitive and efficient. While the codes are based on contractual clauses, there is a challenge to ensure that the relevant code works in the manner it was intended to. Therefore, the need exists for ongoing and independent audits of the codes. In addition, there is the issue of enforceability and jurisdiction, as some smart contract platforms may create their own courts which would be called upon to solve unclear issues related to smart contracts, such as misrepresentations. By way of summing up, the development of smart contract technology presents a significant challenge for lawyers who are generally ‘behind’ the technology. Another session focused on a disruptive issue facing firms internally that relates to “Departures and lateral hires for partners”. Apart from the obvious importance of cultural fit of new partners, issues covered in the session included how to allow a leaving partner to close an ongoing case. Additionally, protection of the client base were also discussed, including ways in which a firm can prevent its key clients from leaving the firm with a departing partner, on the one hand, whilst also ensuring that lateral hires were able to bring their book of business with them. Numerous strategies and tactics were discussed. The key takeaway was that a detailed and enforceable partnership agreement should be in place.